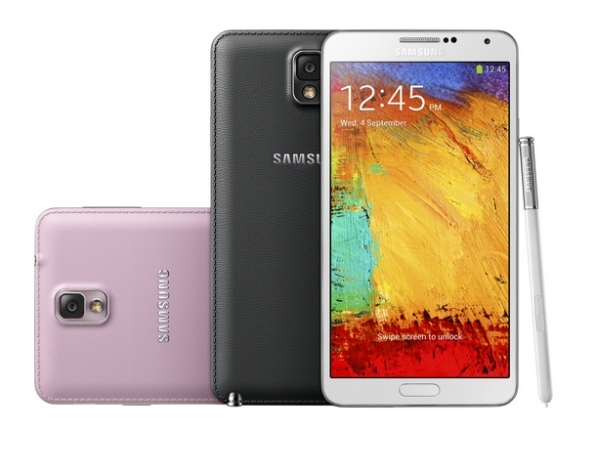 Fans of hybrid tablets with smartphones should rejoice, because Samsung finally unveiled its new Galaxy Note 3 at a recent press conference IFA 2013. Built using a 5.7-inch Super AMOLED screen, the device is equipped with a Samsung Exynos processor or 5 Octa, or 800 Snapdragon Qualcomm's is certainly a bright star in the smartphone market. The main part of the Galaxy Note 3 is its 5.7-inch Super AMOLED screen with a resolution of 1920x1080p, which takes up most of his 151.2x79.2x8.3mm sizes. It also has the support of the new Pen S. It weighs 168 grams and is equipped with 3 GB of RAM, which is more than any current smartphone or tablet on the market, and will come in versions with 32 GB and 64 GB of memory, expandable up to 64 GB cards MicroSD. The basic 13-megapixel rear camera migrated to the device with the Galaxy S4. Other specifications include support for LTE, 802.11ac Wi-Fi, GPS / GLONASS, Bluetooth 4.0, port MHL 2.0, IR port for the remote control and the NFC, and the 3200mAh battery, which, according to Samsung, provides battery life up to 40 percent more than in the previous Note. Device runs on Android 4.3 with its own add-UX from Samsung and comes with a new stylus S Pen, which gives it the "extra functionality". Feature of the new S Pen is a function of Smart Freedom, which starts with a circle of five actions, including the Action Memo, Scrapbook, Screen Write, S Finder, Pen Window, when you click on it, as well as some other useful features. Deliveries of the new Galaxy Note 3 will begin on September 25 in more than 140 countries worldwide.Unfortunately, Samsung, does not shed light on the real cost of its new Galaxy Note 3.